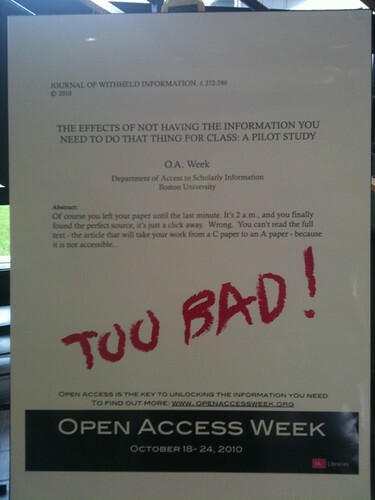 I saw this on Flickr today and thought it was fitting, what with this being OA Week and all. Previous Previous post: LibPunk Radio Episode #17: OA week, what are you doing? Next Next post: LibPunk Buttons!